We all know we need to improve our health, eat healthier and get a little more active. However, these changes can seem awfully intimidating and difficult to incorporate into our lives. I can hear you saying “who has time for that” and “but what do I do, I am confused”! We can teach you exactly what, when and how to eat so that you look your best and feel your best for good! And make it super simple to incorporate it into your busy life. Thank Goodness!! Do you believe you deserve a healthier, happier lifestyle? Do you want to permanently drop down to your ideal dress size? Do you want to quit yo-yo dieting and achieve true weight loss? Do you want to have more energy, look and feel younger? Do you want to find The New You Lifestyle? Your program will be designed based on Your specific needs, wants & desires. It’s about looking great and feeling great…for good right?! You will learn how to achieve your best body and feel the best you have in years through our simple step-by-step system. If you care about your health, want to transform your body, improve your mindset and your confidence, then you have come to the right place. Email me at Lora@thenewyoulifestyle.com to get started now. Sound Familiar? These emotions are felt by millions of us each year who start diets that ultimately fail. Time and again, we give up when we don’t achieve the promised results. Or, we lose a few pounds, just to gain it all back – and then some – a short while later. It’s little wonder that we ask ourselves “Why can’t I lose weight? What am I doing wrong?” But it’s not we who fall short; it’s our diets. Dieters often drastically restrict their calories or food choices now but return to their old habits once they reach their goal. Too often, diets focus on specific types of foods or nutrients and disregard the importance of all else, leading to unbalanced nutrition. For optimal nutrition, our bodies need a balanced variety of nutrients including the right types of carbohydrates, proteins, and fats. Eating high-glycemic foods can sabotage even the best of diet plans because the resulting spike and subsequent drop in blood sugar leads to a more rapid return to feelings of hunger. A better approach focuses on low-glycemic carbohydrates, which help to moderate blood glucose levels, leaving you feeling full and satisfied longer. 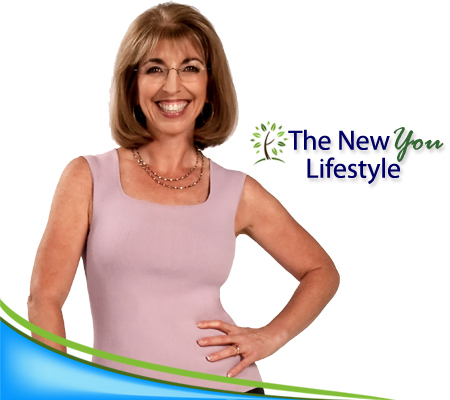 The New You Lifestyle provides tailored nutrition and motivational workshops that empower you to achieve your health and wellness goals. We provide a very personalized service – we listen, to your needs, wants and and don’t wants. Your goal becomes our focus and we work together to achieve this in the shortest time frame. Email me at Lora@thenewyoulifestyle.com to schedule a session.